Dr. Rafael Sierra is a General surgeon with advanced Laparoscopic, Minimally Invasive and Robotic Surgery Training. He obtained his medical degree at Universidad Nacional Autonoma de Mexico and did an internship at Tel Aviv University Sheba Medical Center. He spent two years at Tulane University doing research in advanced laparoscopic and robotic surgery. 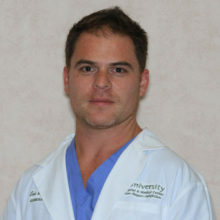 He completed his General Surgery residency at Tulane in 2010.